Italy’s anti-EU populist parties reach deal to form govt. 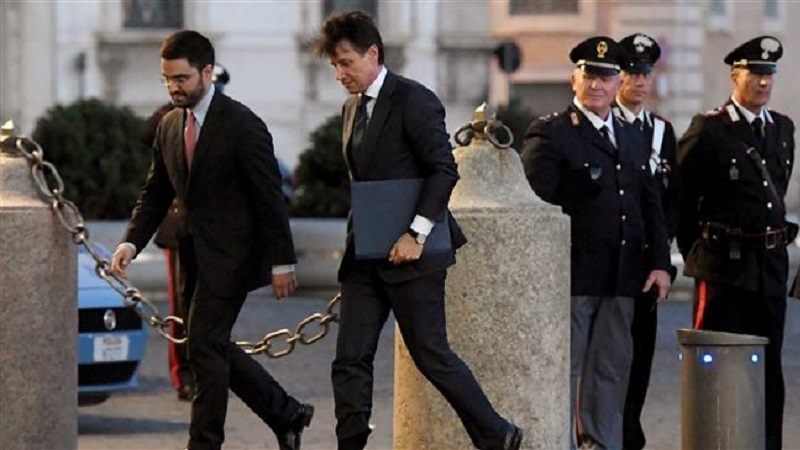 According to Press TV, on Thursday evening President Sergio Mattarella gave a mandate for the second time to Giuseppe Conte — the populists’ pick for prime minister. Conte — a little known lawyer and political novice — announced his picks for the country’s future cabinet after meeting with Mattarella. The role of economy minister was given to the less controversial Giovanni Tria, a political economist who advocates slashing taxes but is in favor of keeping Italy in the euro. “Without promising any miracles, I can say that, after the first months of this government of change, I would like us to have a country with a little less tax and a little more security, a few more jobs and a few less illegal immigrants,” said a gleeful Salvini at a rally after the announcement.